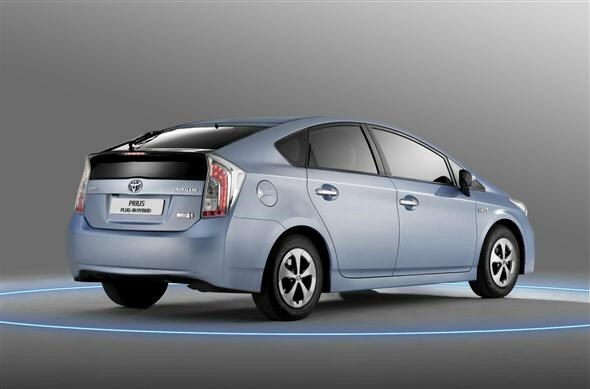 Toyota has released the official emissions and economy figures for its new Prius Plug-In Hybrid. With its battery fully charged, after being connected to a fixed charging point, the plug-in hybrid Prius is claimed to be capable of averaging 135mpg. Emission figures are rated at 49g/km of CO2, meaning free road tax and congestion charge exemption. With the Prius running in normal hybrid mode, Toyota says it will average 76.4mpg and emit 85g/km of CO2. Most people will end up running their Prius in this mode, but either way it's a slight improvement over the current conventional Prius which emits 89g/km of CO2 and returns 72mpg. Toyota has also managed to extend the car's all-electric driving range to around 16 miles, in optimum conditions, an improvement of almost four miles compared to earlier trial versions. 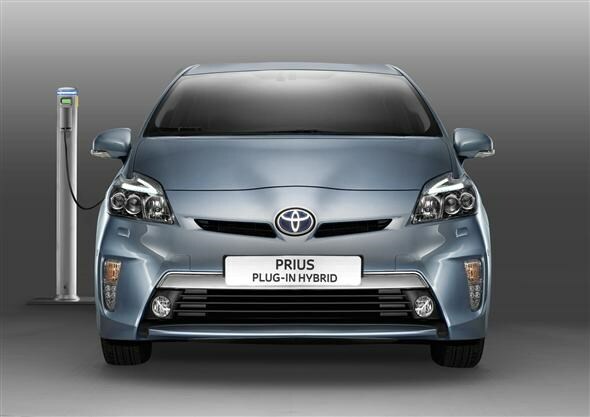 Because the Prius Plug-In has a smaller battery than all-electric cars, charging times are significantly shorter. Toyota claims that it can be charged in as little as 90 minutes from a normal charging point, compared to around six hours for an all-electric car like the Nissan Leaf. This potential range and short charging time means that if you're repeatedly doing numerous short trips around town, you may potentially be able to complete them on electric power alone - and without inconvenient waits for charging. The Japanese manufacturer claims that the plug-in Prius is capable of covering a total of 769 miles with a fully-charged battery and a full tank of fuel. That should make it a little more practical for those who regularly do longer journeys, cutting time at petrol stations. While the figures sound impressive, it's important to remember that they are achieved under test conditions. Matching them, or even getting near them, may prove difficult in real-life driving situations. Those who commute heavily on the motorways, for example, may well find that there are limited economy benefits to the plug-in system and hybrid functionality. Inside, the car remains the same as the conventional Prius. There is seating for five, and a total of 443 litres of boot space - about the same as a BMW 3 Series. Prices will start below £30,000, inclusive of the government's plug-in car grant. That puts the Prius Plug-In Hybrid in the same price range as the plug-in Chevrolet Volt and Vauxhall Ampera, both of which offer lower emissions and higher claimed economy figures. The Volt and Ampera are additionally capable of covering much longer distance on all-electric power, making them more useful for those who want the benefits of an electric car for shorter drives, with the added flexibility of increased range. The expensive price tag also means that the plug-in Prius is considerably more costly to buy than diesel hatchbacks such as the Volkswagen Golf, which in BlueMotion specification is capable of averaging 74mpg while emitting 99g/km of CO2. That particular Golf is available for £19,445, making it around £10,000 cheaper than the Prius Plug-In Hybrid. 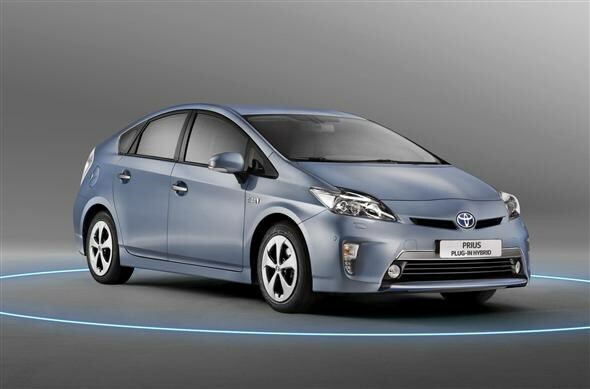 The new Toyota Prius Plug-In Hybrid will be launched later in the summer.